Since 2005, British fashion designer Stella McCartney has collaborated with adidas to bring her design sense to the world of tennis. 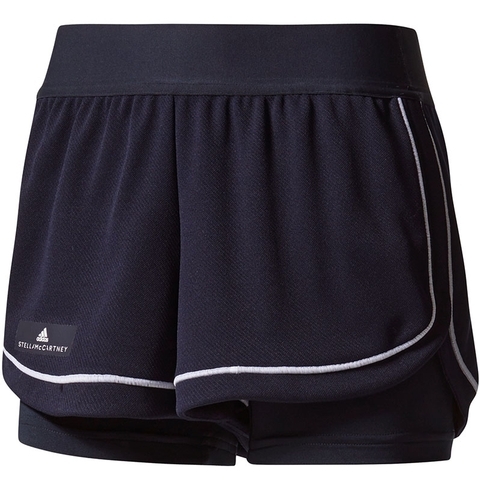 Two-layer tennis shorts created with Stella McCartney, climalite® fabric sweeps sweat away from your skin, back zip pocket, exposed elastic waistband. Built-in short tights. adidas by Stella McCartney logo above hem.